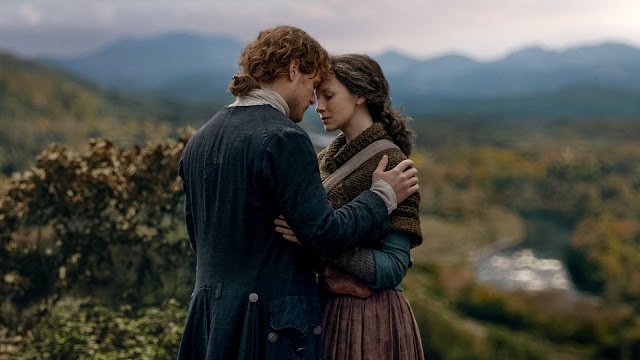 The third episode of Outlander's fourth season, titled "The False Bride," finds Claire (Caitriona Balfe) cold, muddy, scared and lost in the woods — until she meets a strong and silent ghostly stranger who helps her to safety and away from his burial site. "That was such a cool, spooky sequence to film," Balfe recently revealed to POPSUGAR. "Visually, it was quite cold, and obviously Claire finds this skull and there's this amalgam filling, which proves that there are other time travelers around."